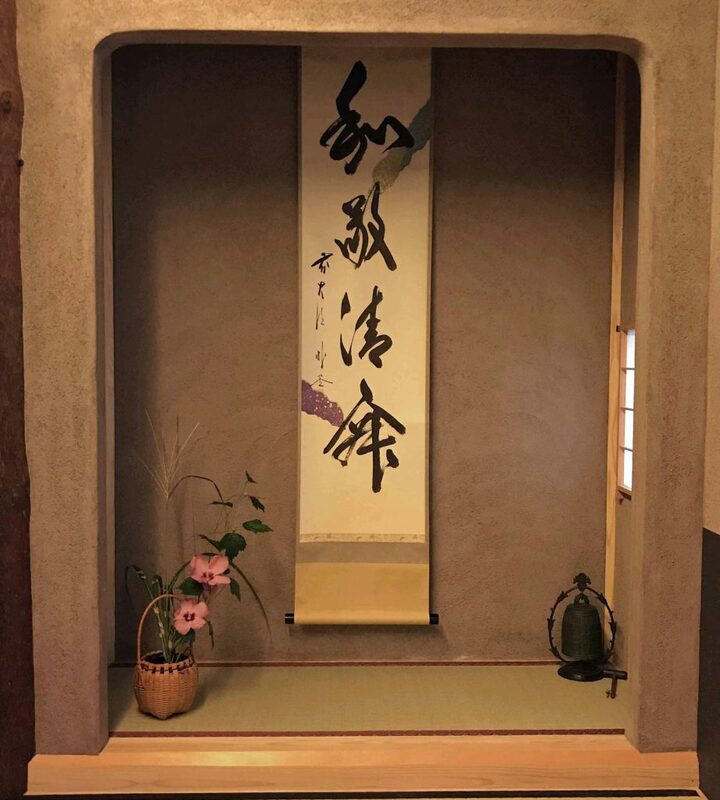 Home » All Posts » The main attraction in the tea ceremony is a hanging scroll which is selected by the host to convey a message. Guests can interpret the theme hidden in the message. The main attraction in the tea ceremony is a hanging scroll which is selected by the host to convey a message. Guests can interpret the theme hidden in the message. 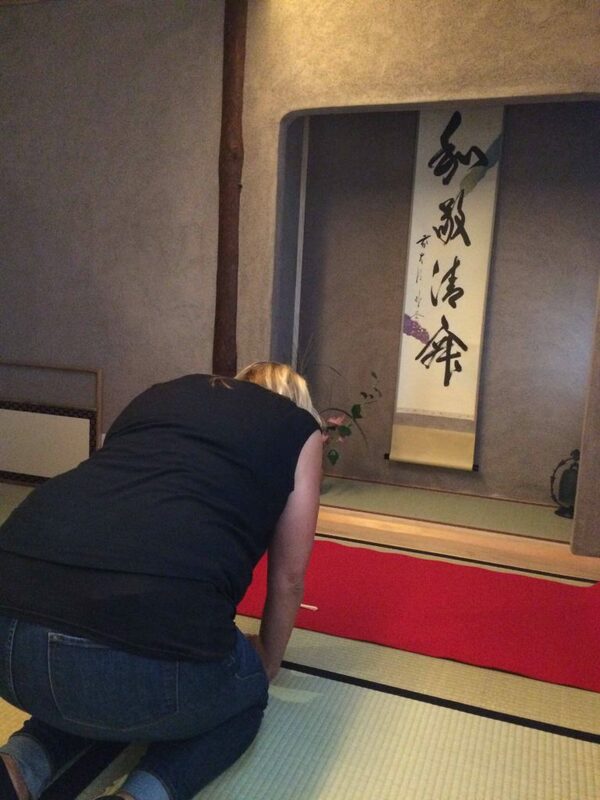 Hosts go through many preparations to ready the tea ceremony room for the guests. 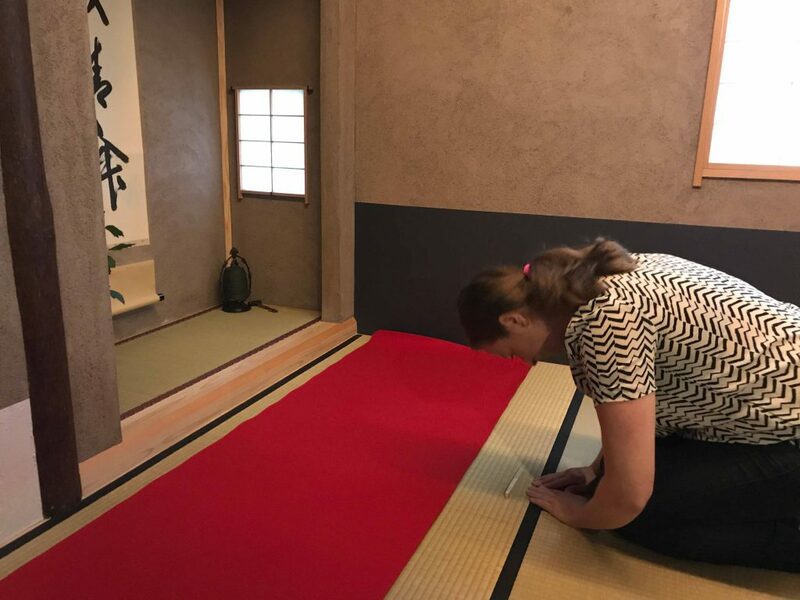 An important step is to select a hanging scroll which adorns the “tokonoma” or an alcove of the tea ceremony room that is considered as the most honored space. Hanging scrolls are generally written by monks with experience or calligraphers using Zen words or classical Chinese poems. Hosts choose the appropriate writing to express their message for the guests. The messages are normally very simple but they can leave vast space for interpretation. Each guest is allowed to appreciate in his/her own way. 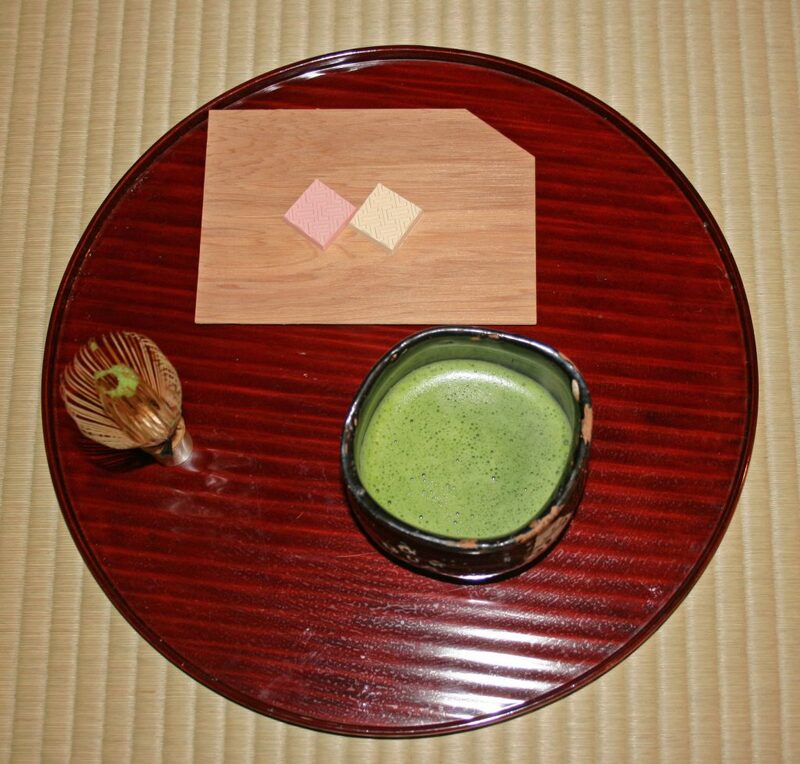 Mat-Cha-Doh offers a tea ceremony plan where you would experience the true spirit of tea as you receive a warm message from a host.